I am drawn to the intimacy and complexity of portraits. Our ability as humans to read the most subtle nuances in faces, even those in historic portraits, makes the genre a challenge, particularly in watercolour. I often place my subjects in strong, one-directional light, mapping the way it falls to add dimension and drama. 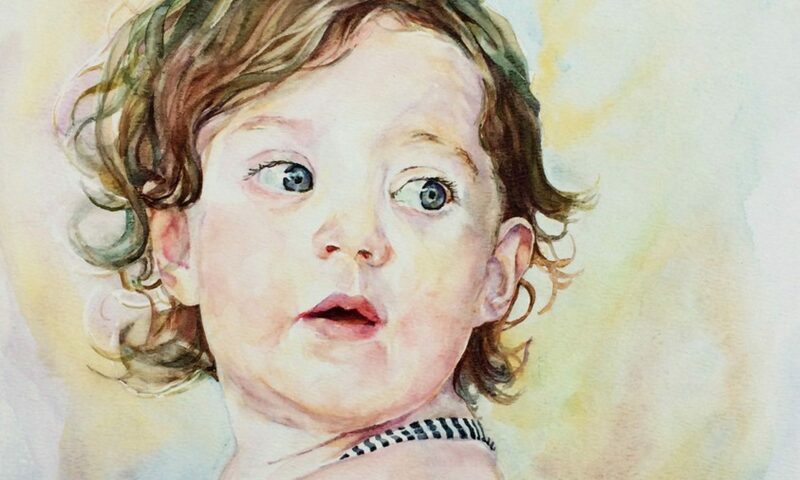 I use “gravity painted” watercolours or diluted oils and enjoy working to commission to capture treasured family portraits. This process is explained below. Portrait commissions: Please click here for examples and information about commissioning a portrait and feel free to email me with any questions. Copyright © 2019 catherine beale aswa. All rights reserved.